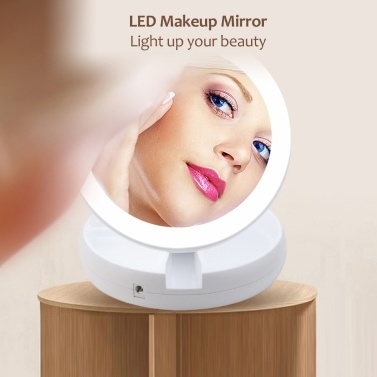 Makeup mirror with LED light and storage box design.HD Mirror with triple folding to adjust the angle when make up. 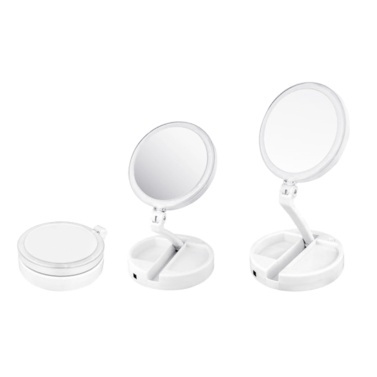 Storage box for jewelry and cosmetics storage. 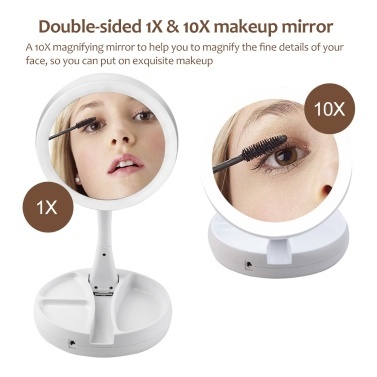 Double-sided mirror: Double-sided 1X & 10X makeup mirror. 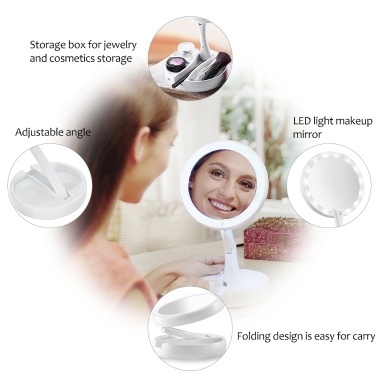 A 10X magnifying mirror to help you to magnify the fine details of your face, so you can put on exquisite makeup. 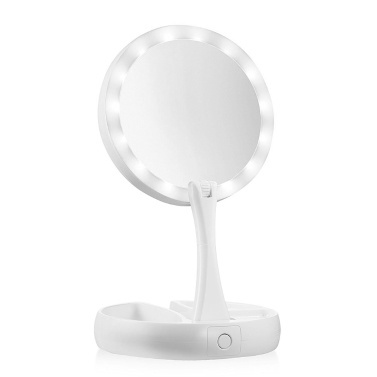 LED light: LED light makeup mirror, give you a more delicate makeup. 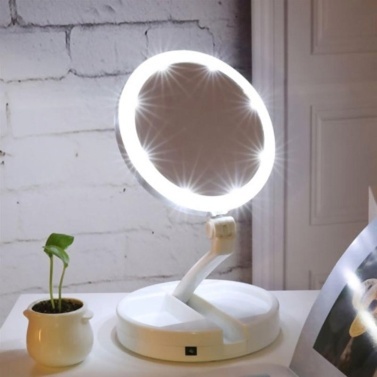 Provide light in dark place, satisfy your need for light anytime. 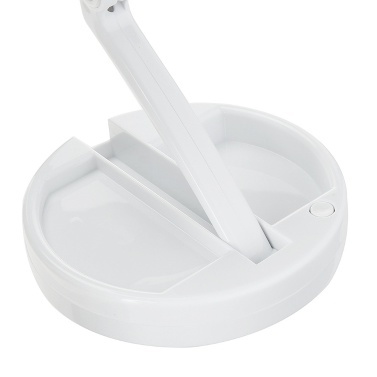 Folding design & Storage case: folding design is easy for carry and can save place. Storage box for jewelry and cosmetics storage. 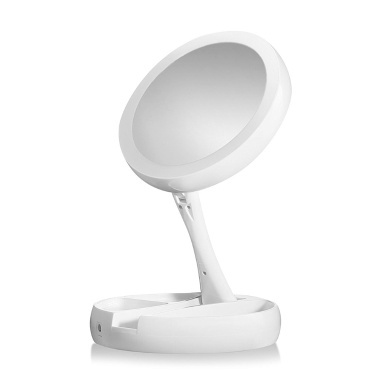 Adjustable angle: standing steadily rotation allows you to adjust to any angle, let you to see every view you want. 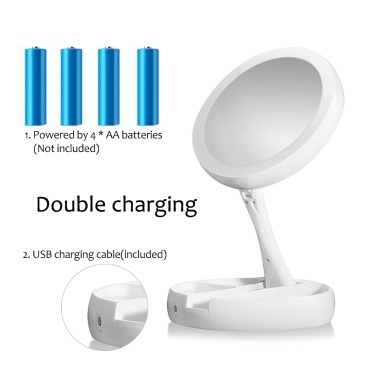 Double charging: powered by 4 * AA batteries(Not included) or USB charging cable(included). Note: The 4 * AA batteries are not included.